Recharge, record, repeat. 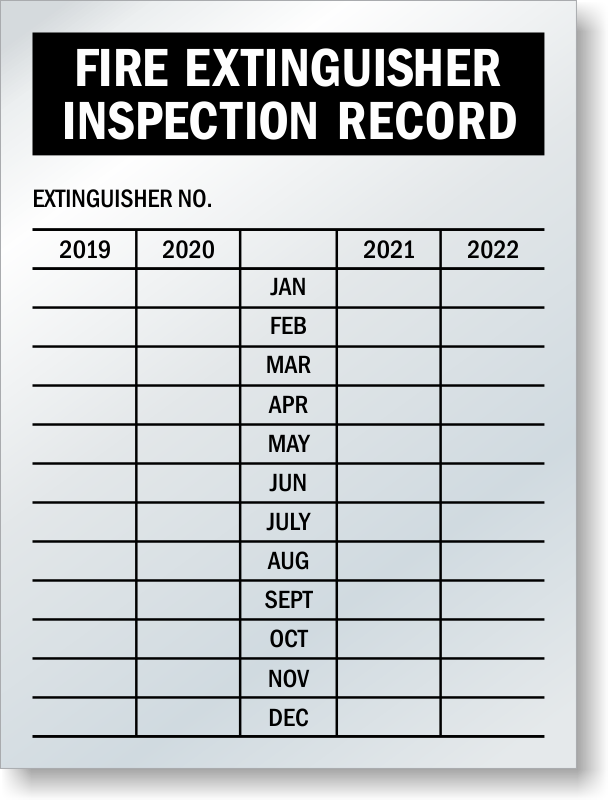 Local fire codes require that you have a legitimate record of fire extinguisher recharge every year, or a valid, dated receipt if new extinguishers are purchased. 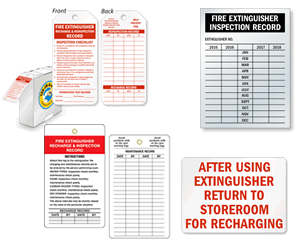 If you have a number of extinguishers that are recharged yearly, get the job done with the most comprehensive Fire Extinguisher Recharge Tags in the business. 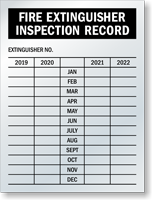 With sturdy reinforced eyelets, rugged, fire-resistant materials and a debossable surface, you can have the toughest tag that makes your recharge records a snap to update. 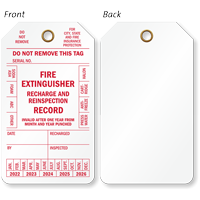 From write-on vinyl to debossable aluminum, we have the right tag for the job. 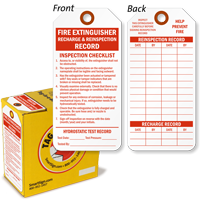 For faster tagging on multiple fire extinguishers, grab our Tag-in-a-Box tag set in a convenient dispenser for better storage and quicker tagging. 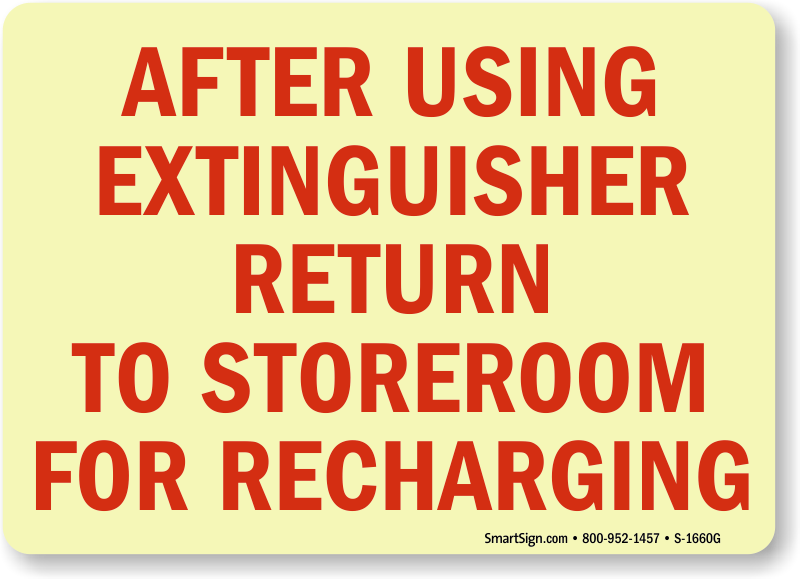 Don't let your recharge record fall behind - comply with stringent fire codes and promote regular fire extinguisher recharge with a tag that works for you. 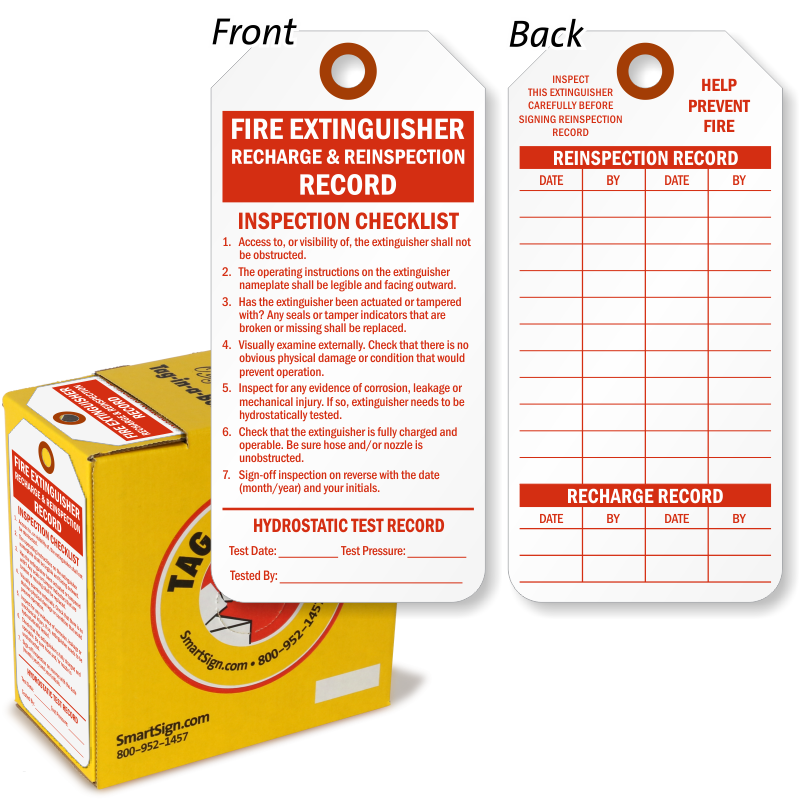 • Choose from a variety of sizes to fit your fire extinguisher recharge maintenance program. • Brass-reinforced eyelets can support nylon and wire loops for easy, reliable tagging. 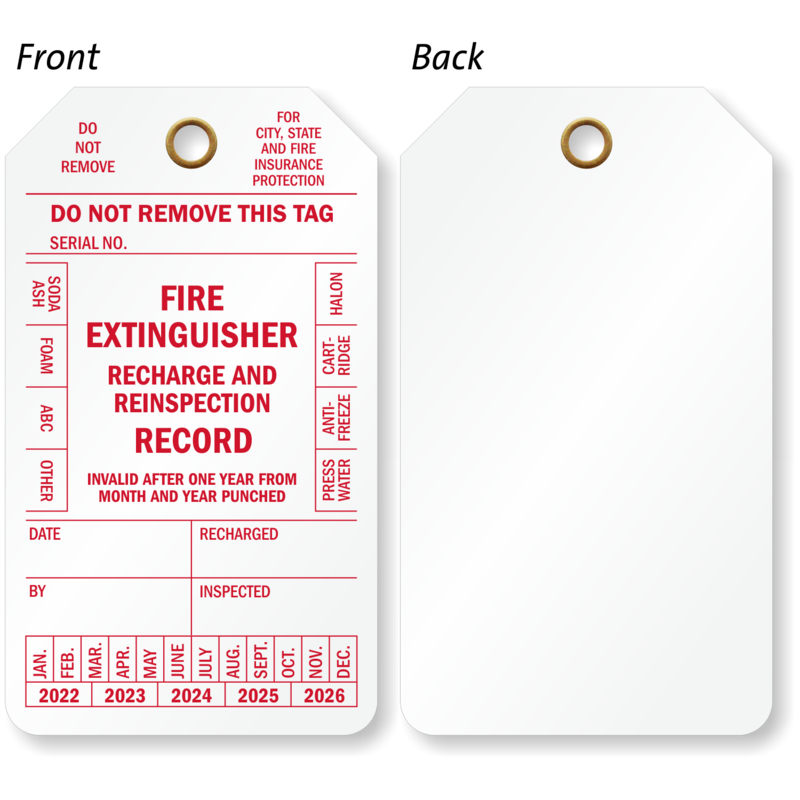 • Aluminum tags allow you to deboss your message into the tag. Your message will last long after the ink washes away. • Fill in your information for a clean, smudge-free message that lasts. 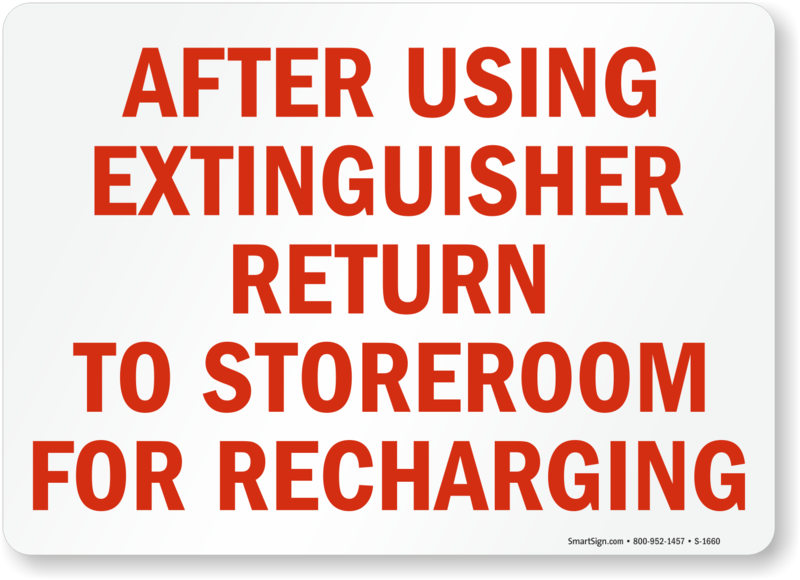 Most fire extinguisher recharge companies will provide a safe, compliant service and properly mark your tags for you.